Here's a simple solution to Fix ccboot not booting on "Lan"
1. Make sure CCBoot server ip are set correctly (Figure 1). 2. 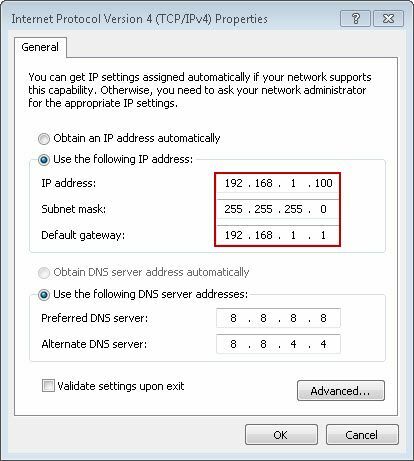 Set static ip in your server lan properties (Figure 2). 3. 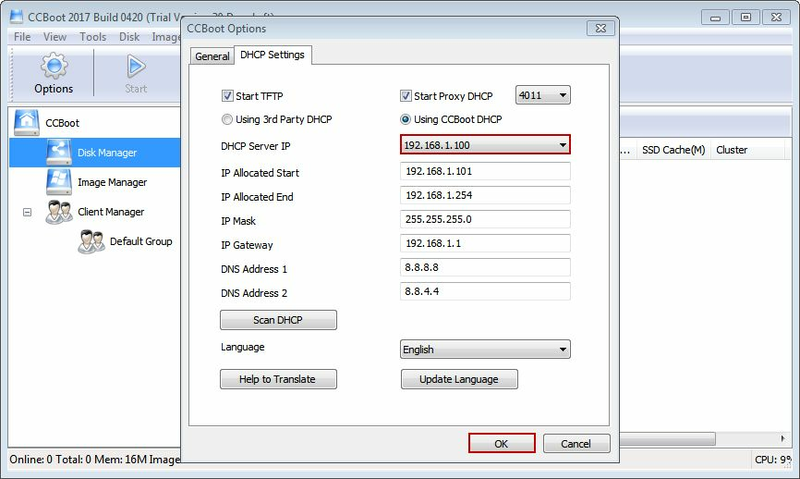 Check client ip in ccboot manager right click edit client (Figure 3). 4. 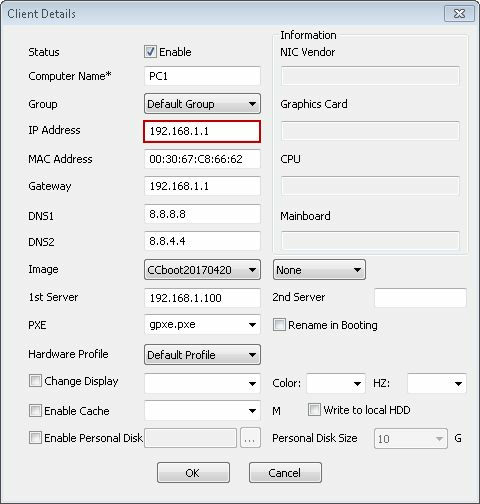 Go to bios check if "boot on Lan" are enabled or not. 5. Check utp cable or re-crimp, use cat 6 utp.